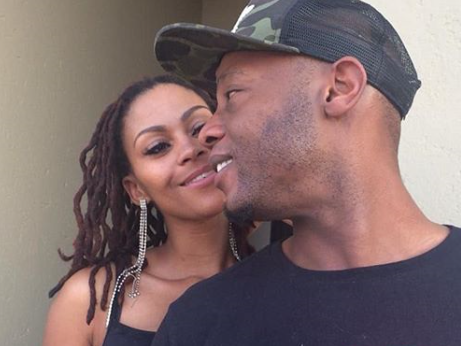 GENERATIONS: The Legacy actress Latoya Makhene and the father of one of her children Tshepo are always putting their love for each other on public display. Well, today is no different as Tshepo celebrates his birthday today. Posting a series of pictures of the two of them, Latoya gushed about how important her beau is in her life and that she cannot imagine life without him. “I cannot imagine my life without you! My ride or die. My best friend for life. My homie. My husband and father to my children.How did I get so damn lucky?#HappyBirthdayTshepo #BabaKaKopano I love you so much. You are perfect. You have touched the deepest part of my heart,” She captioned the snaps. “Your forever & a day”. The star whose nine year marriage to Zimbabwean national Privilege Mangezi ended acrimoniously in 2015 when claims of physical abuse emerged, seems to have found the love of her life in Tshepo, and is finally enjoying her happily ever after. @tshepo_le I cannot imagine my life without you! My ride or die. My best friend for life. My homie. My husband and father to my children. How did I get so damn lucky? #HappyBirthdayTshepo #BabaKaKopano I love you so much. You are perfect. You have touched the deepest part of my heart. Your forever & a day ♥?? ?♥?